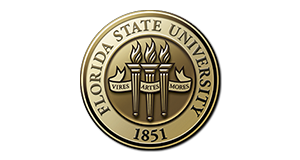 If your organization plans to host an event on FSU’s campus in which food will be served to the general public, a Food Permit is required. Examples of these events include bake sale, information sessions, open meetings, or any other gathering where food will be offered to individuals who are not members of your organization. Food Permit requests collect specific information about the food that will be served as well as vendor and serving information. EH&S reviews each Food Permit request and provides guidance in order to ensure that your event is both safe and successful. Before submitting a request, please read through the following information regarding FSU’s food service policy. All food and drinks must be obtained from, prepared and packaged by an approved food service vendor (food store, bakery, restaurant, caterer, or food distributor which has been approved by the local health authority). Baked goods (cookies, brownies, muffins, etc.) may be prepared in a residential kitchen, so long as the address of the location is provided in the Food Permit request, and all baked goods are individually wrapped in plastic wrap or foil or placed in individual plastic bags prior to bringing them to campus. Baked goods containing potentially hazardous food items such as cream fillings, meats, or cheeses are prohibited. Disposable utensils, serving tools, napkins and plates should be used. Food should be handled with sterile tongs or spatulas. All food handlers must wash their hands and wear disposable gloves. When available, gloves should be latex-free. Provisions should be made for keeping food at the appropriate temperature. Hot food should be served immediately after delivery. Cold food should be served immediately after delivery or kept cold until served. Ice used for consumption must be obtained from an approved source (ice plant or food store - not from a residential home) and kept in its original container until immediate use. Proper disposal must be provided for water created from melting ice to prevent a sanitary nuisance. Wet storage of drinks or food is prohibited when the pouring lip or food product is immersed in the ice or ice water. Food surfaces must be decontaminated frequently and be protected from handling, dust, sneezes, coughs, insects and all other contaminants. All food contact surfaces including but not limited to: holding pans, dishes, spoons, scoops, spatulas, and coolers must be kept clean, sanitized, and protected from contamination. Temporary food service events must be conducted in areas that are equipped with suitable handwashing facilities. If food items will be sold, you will need to seek additional approval from the Office of Business Services. EH&S conducts the random inspection of temporary food service events. Depending on the nature of the event, and the food items served, EH&S may impose additional requirements. By submitted a Food Permit request, you are agreeing to abide by these regulations. These links direct you to FSU’s Nole Central system where you submit an Event Permit request. The Event Permit request gathers all of your event details, including location, expected attendance, and food plans. By filling out an Event Permit request entirely and accurately, you are also automatically completing a Food Permit request. All of the information is captured through the Nole Central system – there is not a separate, standalone Food Permit request form. After your request has been submitted, you will be contacted through the Nole Central system by EH&S. You will receive one of the following: an approval, a denial, or a request for additional information. Check the Nole Central system regularly in order to ensure that all requested information is received. If you have questions about the status of your Food Permit, contact EH&S. Requests must be submitted at least 10 business days prior to your event. Requests that are not submitted on time may not be approved. You can find additional information about FSU's temporary food service policy in the Safety Manual. If you have questions or concerns, feel free to contact EH&S for assistance.